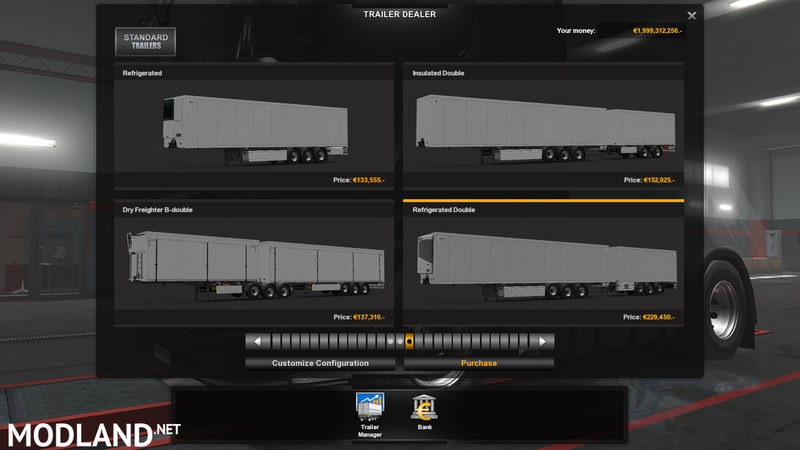 With this mod you can use Doubles and B-Doubles in all the EU countries. could i use it in 1.31.2xx? Download and installed it in the mod folder, buyed it and says it's in your garage (mine is in Amsterdam) no way he's there. Lost my money to buy.